I met momma Shelby while photographing a wedding she was in a year ago – Kortney & Harrison’s – and instantly fell in love with her! She is the nicest little lady and her hubby is so so sweet on her! Come their maternity session this past fall, they made me feel like I was part of the family – even their pup loved on me! I was not so secretly hoping their pup would be in on Baby Jayden’s 6 month session but they promised me she would be at his 12 month. I’m holding them to it! You know you have the best clients ever when the engagement session just starts off SO WELL and by the end of it, you’re not wanting to stop! This is how it was with Arella & Price! They are the sweetest, kindest people and I’m so honored that Arella followed in her older sister Analiese’s footsteps and booked me to photographer her wedding as well! I am so looking forward to working with both of their families in July! For their engagement session, we met in Lowertown Paducah right when the trees were green but the blooms were still lovely shades of pink! We ended their session at Arella’s mom’s house outside of Lone Oak, right as the sun was setting – perfect weather and perfect light! July can’t get here soon enough! I’ve been photographing Lauren’s sister Kelly’s family for years so it felt right to be at their parents’ farm for Lauren & Levi’s (and their dogs Maddie!) maternity portraits not too long ago. The 30 minute session went so well that by the end of it, we’d realized that we’d been shooting for 45 minutes! Times flies when you’re having fun!!! And both Lauren & Levi were such rockstars and the light was so perfect, I couldn’t stop just because time was up! It’s about time there was an engagement session on this blog! Katelin & Chad’s wedding is this coming fall so they opted for a spring engagement session to have the best of both world as far as Paducah seasons go! And all Western Kentuckians know, spring and fall are the prettiest! We waited until the gold mustard weeds were at their best for sunset portraits at just the right time. Before hand, we of course had to shoot at my parents’ property – lake, forest, flowers… It’s doesn’t get any better! Sweet Baby Elliott holds a special place in my heart, as do his parents. I photographed Megan & Andrew’s engagement session years ago and a year later, their wedding, right before they moved clear across the country to reside in California. A year after that they returned home for a visit and we didn’t an anniversary session. Between then and now they we’re blessed with their first child, a son they named Elliot. While he wasn’t premature, He had to spend a fair amount of time in the NICU during his first months of life due to digestive tract issues. This little guy is a fighter! I have a girl crush on Kaylan – have since the moment I met her! 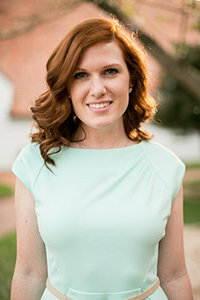 She is a writer who started working for a marketing a branding company here in Paducah as a content writer, who has a major passion for Christ and women. She turned her talent and passion into something beautiful: Honest Womanhood. Check her and it out. You won’t be sorry!